Now that we know about Chelsea’s recent transfer ban that FIFA will impose on them for the next year, let’s talk about the players who will help them. 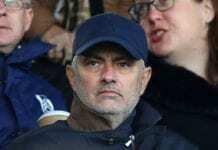 The most explosive news of the year by far has been this Friday’s announcement that Chelsea will suffer a transfer ban by FIFA, the Blues won’t be able to sign any new players for the upcoming two transfer windows for violating the rule that forbids them to sign underage players from other countries. This practice has been punished with the same measure in the past, clubs like FC Barcelona, Real Madrid, and Atletico Madrid have gone through periods where they haven’t been able to sign players either. 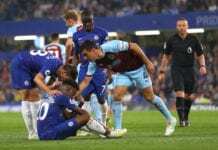 This leaves Chelsea against the ropes in regards to the actions they have to take in order to remain competitive, the situation of several players has suddenly changed and we will discuss the specific case of five footballers who will be able to help Chelsea in this difficult time. We will give you a Top 5 list. Next articleQuiz: How much do you know about Arsenal FC’s history?